A vocal opponent of confirming Sen. Jeff Sessions, R-Ala., as U.S. attorney general recanted part of his critical testimony 30 years ago against Sessions being confirmed as a federal judge. “My recollection on this matter has now been refreshed,” @GerryHebert says. J. Gerald Hebert, a former Justice Department lawyer, made racially charged allegations against Sessions before the Senate Judiciary Committee, which was considering his nomination as a district judge in Alabama. More recently, Hebert said Sessions would be “frightening” as attorney general. Immediately after President-elect Donald Trump announced he would nominate Sessions to be attorney general, Hebert—despite having corrected part of his testimony in 1986—issued a public statement opposing Sessions. A few days later, The Washington Post published an op-ed by Hebert explaining why Sessions shouldn’t be attorney general. Hebert testified March 13, 1986, in opposition to President Ronald Reagan’s nomination of Sessions to be a U.S. District Court judge for the Southern District of Alabama. Part of Hebert’s testimony to the Judiciary Committee included allegations that Sessions, while serving as U.S. attorney for the Southern District of Alabama, attempted to block an FBI investigation into a voting rights case in an Alabama county. Hebert said Sessions bypassed proper procedure by not first informing the Justice Department’s Civil Rights Division. Three days later, however, on March 16, Hebert and another lawyer in the Civil Rights Division, Paul A. Hancock, filed affidavits asserting it was a different U.S. attorney, Sessions’ predecessor, who tried to stop the FBI probe. 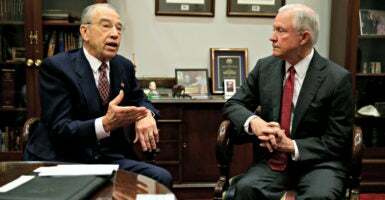 The matter is significant in exposing unfair attacks on Sessions when Reagan nominated him for a judgeship, now that Trump plans to nominate Sessions for attorney general, said Hans von Spakovsky, senior legal fellow for The Heritage Foundation. “These affidavits correcting the record, which got almost no media attention, are another sign that the claims made against Jeff Sessions 30 years ago were baseless and entirely manufactured,” von Spakovsky told The Daily Signal. Hancock had made his assertion against Sessions before the Judiciary Committee on March 12, one day before Hebert did. My recollection on this matter has now been refreshed. I have no knowledge that Mr. Sessions ever interfered with any voting investigation in the Southern District of Alabama. … I apologize for any inconvenience caused Mr. Sessions or this committee by my prior testimony. Because of the allegations, Reagan’s nomination of Sessions for the judgeship failed to clear a Republican-controlled Senate; Sessions eventually withdrew and continued serving as a U.S. attorney, a role he held from 1981 to 1993. He was elected as the state attorney general in 1994 and was elected to the Senate in 1996. Hebert did not correct other parts of his testimony to the Senate Judiciary Committee. 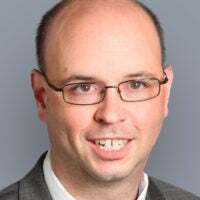 Today, Hebert is the director of a voting rights and redistricting program for the Campaign Legal Center, which advocates campaign finance reform and restrictions on money in politics. Jeff Sessions has not demonstrated a commitment to fairness and equality under the law, a commitment that should be a minimum qualification for the position of attorney general. To the contrary, he has repeatedly demonstrated racial insensitivity to black citizens of Alabama and this country through both his words and actions. He has never apologized for his racially charged comments during his last tenure at the Department of Justice. I believe that Sessions represents a threat to voting rights for all minorities. It is frightening to think that Sessions will run the U.S. Department of Justice and have the opportunity to roll back voting rights through voter suppression in communities that have long struggled for equality. Hancock, the other civil rights lawyer at the Justice Department who filed a corrective affidavit after testifying to the Judiciary Committee, said the mistake was corrected almost immediately and likely didn’t affect the judicial confirmation process in 1986. He added that the matter should not affect Trump’s intended nomination of Sessions for attorney general. That was not the case with Sessions’ predecessor as U.S. attorney, William Kimbrough Jr., who was in the position from 1977 through 1981. It was Kimbrough, not Sessions, who tried to stop the FBI investigation of the voting rights case, Hancock explained in his affidavit. Further, the locale in question was Clarke County, Alabama, not Conecuh County, Alabama, as both Hancock and Hebert originally told the Judiciary Committee. Hancock’s affidavit corrected his testimony on March 12, 1986, a day before Hebert testified. The affidavit was three pages long, with three supporting attachments regarding the Clarke County case from May 1980. Kimbrough gave his approval for the investigation to resume and apologized for not notifying Justice’s Civil Rights Division before asking the FBI to discontinue it, according to an attached memo. Heritage’s von Spakovsky compared the incident to the Democrats going after and denying confirmation to Robert Bork, Reagan’s nominee for the Supreme Court in 1987. “The Borking of Sessions then was shameful and dishonest, and the same misbehavior should not be allowed to occur now,” he said.